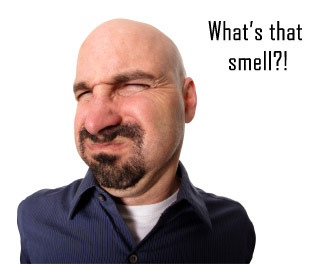 What’s that smell? Who cut the cheese? Is there a gas leak? Did I step on something? What’s rotting in the frig? These are some questions you may ask when you walk into a flavor lab where the chemist has been using Dimethyl sulfide (DMS). DMS smells terrible and can politely be described as canned creamed corn. DMS is like a fair maiden in torn clothes; even though it stinks, it makes flavors taste better. A flavor chemist has to see the beauty DMS has to offer. Flavor scientists use DMS in seafood or meat flavors, like crab or chicken and in milk, butter, egg, mayonnaise, malt, vegetable, and fruit flavors. Fruit flavor formulas that I have created using DMS include raspberry and strawberry. DMS adds the “ripe” note to berry flavors and it has been found as one of the hundred plus aroma constituents in strawberry, blackberry and raspberry fruit. Some other foods that DMS has been isolated from include: peppermint, spearmint, geranium, tomato, grapefruit,mango, wine and beer. A flavor chemist must handle DMS very careful. The Material Safety Data Sheet (MSDS) for DMS informs the user that DMS is toxic if inhaled. Not only is it good lab etiquette to open stinky materials under the lab hood, it is also safe handling. Lab hoods provide adequate ventilation for handling toxic materials. Typically, a flavor chemist makes dilutions of stinky materials like DMS. When a flavor chemist uses a material in it’s undiluted form, this is called “Neat”. Pure diluted dimethyl sulfide smell is best described as boiled cabbage and rotting seaweed. There are many extremely potent sulfur based flavoring compounds, and their ease of oxidation or decomposition often poses special challenges. One really interesting flavorful compound is dimethyl trisulfide MeSSSMe, it falls apart at around 50 C.